* Initialize the codec to decode a stream specified by codec and pmt. * like trying to decode a unsupported format on a hardware decoder. * Flush the decoder after a seek. * The decoder should discard any remaining data. * Get the frame duration. * This function is not mandatory, and if you cannot provide any specific duration, return 0. * Query whether the format can potentially be interlaced. * This function should return false if the format can 100% not be interlaced, and true if it can be interlaced (but also progressive). * Allows the decoder to handle an allocator. *  (at your option) any later version. *  GNU General Public License for more details. *  51 Franklin Street, Fifth Floor, Boston, MA 02110-1301 USA. // This would cause the frame timestamps to be delayed by one frame exactly, and cause timestamp reordering to go wrong. // So instead of failing on those samples, lets just assume that 9 bytes are that case exactly. // Decoding of this frame failed ... oh well! // When Frame Threading, we won't know how much data has been consumed, so it by default eats everything. // In addition, if no data got consumed, and no picture was extracted, the frame probably isn't all that useufl. 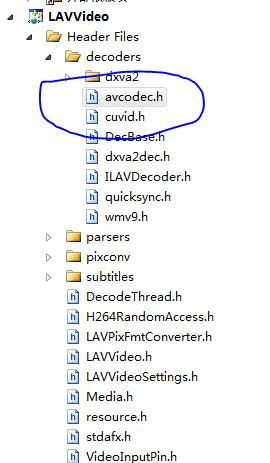 // MPEG-2 and VC-1 just wait for a keyframe..
// Determine the proper timestamps for the frame, based on different possible flags. // The parsing logic does not care what type they are, it just expects 2 blocks.